The story is one that Jaguar is keen to remind us of: just 18 Lightweight E-type racing cars were intended to go into production, but only 12 were manufactured – unit the British marque completed the pack in 2014. 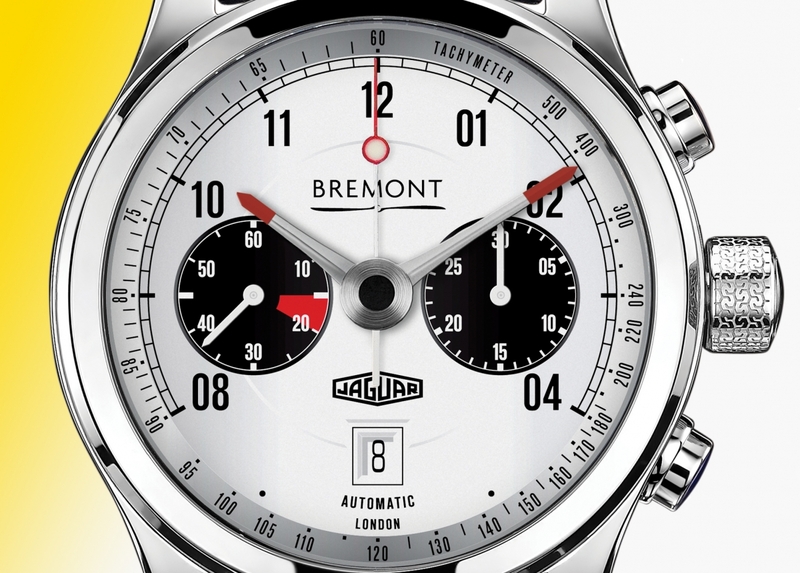 But it is the story of the two Lightweights that dominated the field at the 1963 12 Hours of Sebring endurance race that Bremont has immortalised in this collection. Number 23, the red and blue striped Lightweight that raced to victory in the GT 4.0 class, is the focus of this beautiful timepiece, with the British company paying homage to the dials, binnacles and aesthetic of the 1960s cars. The Sebring MKII also has new hands and a red stitched ‘racing’ leather strap, a nod to the red racing stripes that adorned the car and the vintage embroidered branding details. According to Bremont, the classic chronograph layout, which features two subdials at the three o’clock and nine o’clock positions, is achieved through the use of the ‘beautifully decorated BE-50AE automatic movement’. This has also has been customised by Bremont to a unique specification. A subtle ‘red line’ on the 60-minute counter pays tribute to the E-type’s tachometer. However, look closer and you’ll find event the smallest details have been tweaked to make it truly unique. For example, the mechanism, which is visible through a sapphire crystal case back, features an automatic ‘steering wheel’ winding weight.